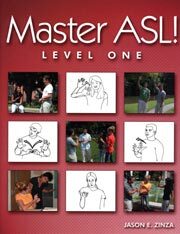 Video FAQ about Master ASL! and National and State Standards. Click below to view. Master ASL! Is the only American Sign Language curriculum that incorporates the national foreign language standards established by the American Council on the Teaching of Foreign Languages (ACTFL). These standards, known as the 5C's (pdf), serve as a guide for foreign language teaching to ensure learner proficiency in both spoken and signed languages. 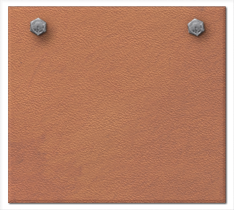 Master ASL! breaks new ground in ASL instruction, raising the quality of materials to the same caliber of spoken language curricula. With Master ASL! in hand, students and teachers of other languages will no longer ask "Is ASL a real language?" 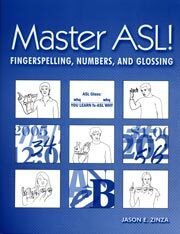 because Master ASL! is setting a new standard! The Master ASL! textbook spans a full year / two semester / three quarter course of study appropriate for both high school and college-level programs. 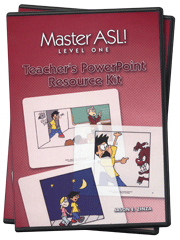 The language component of Master ASL! Level One is guided by three principles: Communication / "The What", Structure / "The Why" and Prosody / "The How". The communication principle provides learners with vocabulary and conversation topics that closely follow the sequence of interactive communication between individuals. When learners possess real-world vocabulary, they are encouraged to use the language inside and outside the classroom. In conjunction with vocabulary development, Eyes on ASL and ASL Up Close sections present grammar instruction that promotes a strong foundation in ASL structure, including analysis of why and how ASL and English structure differ. This is designed to ensure a solid understanding of the differences between ASL and English-like signing. The final component, prosody (the patterns, rhythm, and accent of a language), encourages native-like signing via Narrative and Accent Step sections in each unit. The culture component of Master ASL! Level One is guided by two principles: Knowledge and Function. The knowledge principle exposes learners to a wide variety of information about the Deaf World, ranging from videophone technology to d/Deaf doctors to Deaf Native Americans. The breadth and depth of Deaf culture topics engage learners and encourage development of a positive appreciation of the Deaf World and their place in it. The function principle refers to the cultural awareness needed in order to use ASL appropriately, such as knowing when to use formal or informal greetings, how to handle audible distractions, and attention-getting strategies.